I loooove glitter nail polish. And I like to add a glittery clear top coat too. But, getting it off my nails is usually the hard part – until now. 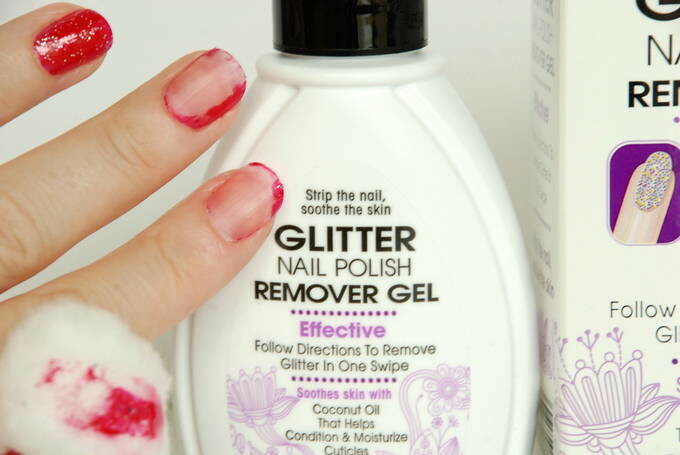 Typically, I have removed glitter with liquid nail polish remover — which didn’t remove very much. And I’d end up scraping the rest off with my nail. Ugh! 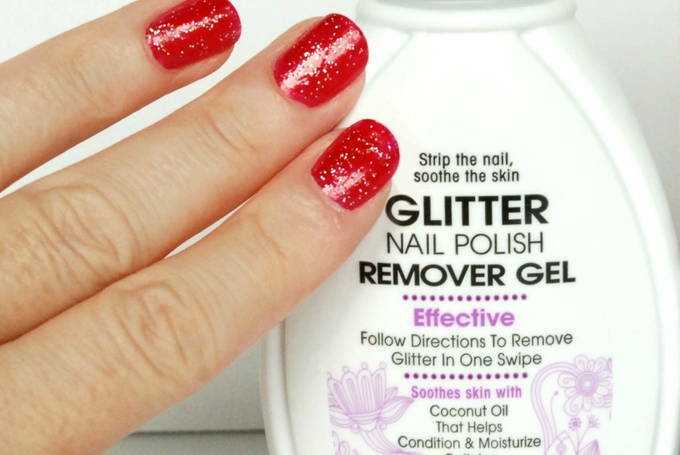 But, this glitter remover gel saves me time. And the size is right – it is a semi travel-size bottle. I like how the gel came out in a controllable way, unlike a bottle of liquid nail polish. Here are my tips to help you get good results. 1) Apply “gelled” solution generously to nails. They definitely mean generously. So, you need to apply more than just a small “dollop”. 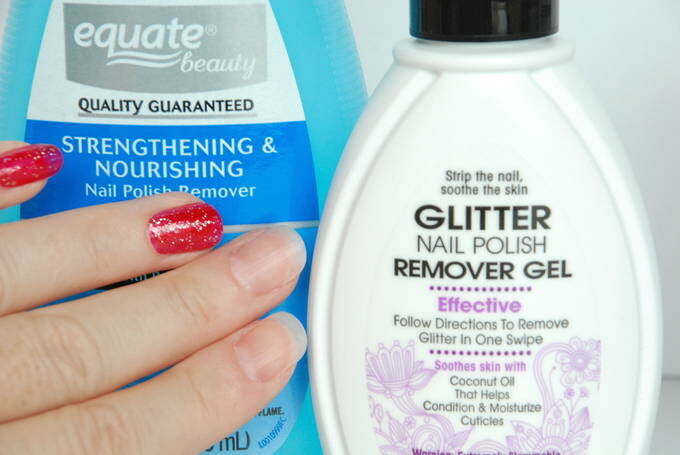 Apply enough remover to fully cover the nail – including the edges. The key to success: Apply a thick amount on every place you have polish. Don’t skimp!! If you have an area with a thin amount – it dries quickly and the polish won’t wipe off. Use a cotton swab to make sure a thick amount gets in every crevice. Apply to one hand at a time. 2) Let sit for 2 minutes. Put a paper towel under your hand since some can slide off while you’re waiting. Use a timer! Don’t guess. It has to be on there for a full 2 minutes. 3) Wipe away with a cotton ball paper towel. Paper towels worked best to remove the gel. I found that cotton balls slide around. So did tissues, plus they left shredded tissue on the nail. Be sure to wash your hands afterwards. 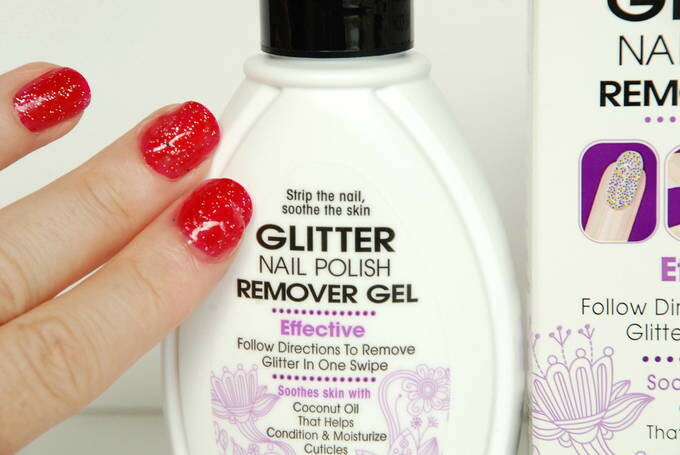 The gel removes the glitter, which is the hard part. And, if any polish remains on the edges of the nail, then use liquid nail polish remover to take it off. 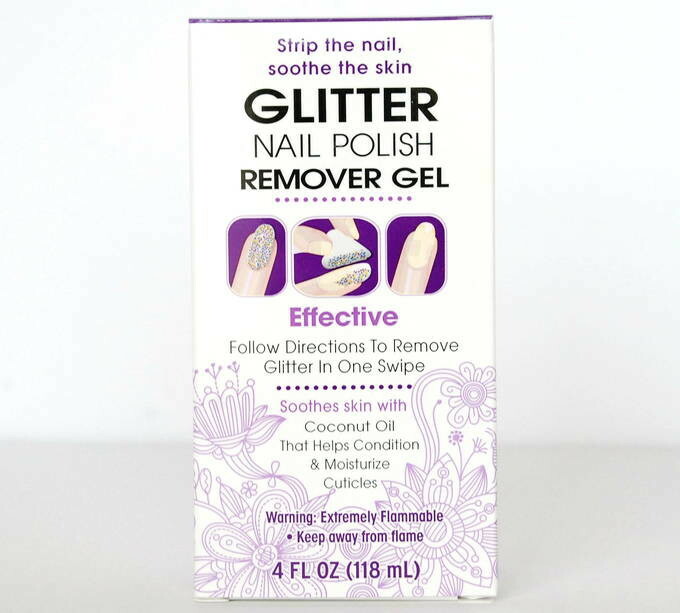 With this remover gel, the glitter comes off easily. It’s a gentle process.